Lampasas Police Dept. blotter for Friday showed a prowler report in the 1400 block of E. Ave. A at 12:30am, then a minor accident in the 300 block of N. Porter at 1:14am with no injuries. There was a suspicious vehicle in the 1200 block of E. 4th at 6:49am, then a theft was reported in the 800 block of N. Key at 10:06am. Suspicious activity was reported in the 300 block of E. 4th at 11:25am and a criminal trespass on Goldman Ln. at 11:34am. 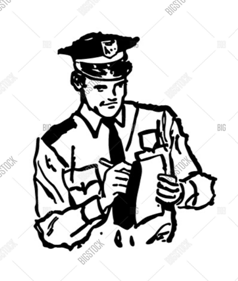 The afternoon brought a reckless driver report from the 1900 block of Hwy 281S at 4:44pm and a criminal trespass in the 1400 block of Hwy 281S at 5:05pm. At 5:32pm, a 30 yr old Lampasas man was arrested in the 300 block of E. 4th for unlawful carrying of a weapon. At 7pm a suspicious person report came from Hollywood Dr. and there was another arrest at 10:52pm when a 59 yr. old homeless man was arrested in the 1500 block of S. Key form criminal trespass. There was a disorderly conduct report in the 1900 block of Grand Canyon Dr. at 10:59pm and a domestic disturbance in the 1600 block of E. Ave J at 11:16pm. The Sheriff’s Dept. Blotter shows Lometa was pretty quiet with a livestock call. Kempner had a few animal problems and a warrant served. Copperas Cove had one call for suspicious activity. Lampasas had livestock, & animal problems, a couple of medical calls, also a few traffic stops, a crash, criminal mischief, and a repossession.. The Jail Log shows two women brought in for failure to appear, a 50 yr old Brownwood resident and a 35 yr old from San Antonio. A Lampasas man, 54 yrs old was brought in on a commitment charge.